In 2018 we decided to try to capture the savoury crunchiness that the southern fruit from the Karridale area (southern Margaret River) can deliver. The resultant wine is vibrant, savoury, and crunchy with some oak sophistication we know you (and many others) will enjoy. Margaret River may well be the home of SSB’s / SBS’s, however in 2018 we continued our quest in showing off a single varietal Sauvignon Blanc that expresses the environment where it comes from. In 2017 we tried to geographically represent the region by taking fruit parcels from Carbunup Wilyabrup, Wallcliffe and Karridale. This produced a very tasty, crowd pleasing, all-round Savvy B that was dominated by the tropical notes in the northern fruit, with some subtle complexities of some savouriness and oak treatment from the southern fruit. In 2018 we decided to try to only capture that savoury crunchiness that the southern fruit can deliver. The resultant wine is vibrant, savoury, and crunchy with some oak sophistication we know you (and many others) will enjoy. As our 2018 Sauvignon Blanc is all about capturing the southern expressions of Margaret River Sauvignon Blanc, the vineyard selection was critical to making a balanced, ultra-fresh style without losing any aromatics and the sophistication. For this wine we sourced fruit from the Karridale and Wallcliffe sub-regions of Margret River. These two southerly sub-regions generally allow for additional hang time for flavour development and capture more herbaceous notes as opposed to the tropically driven fruit you get from the northern sub-regions. 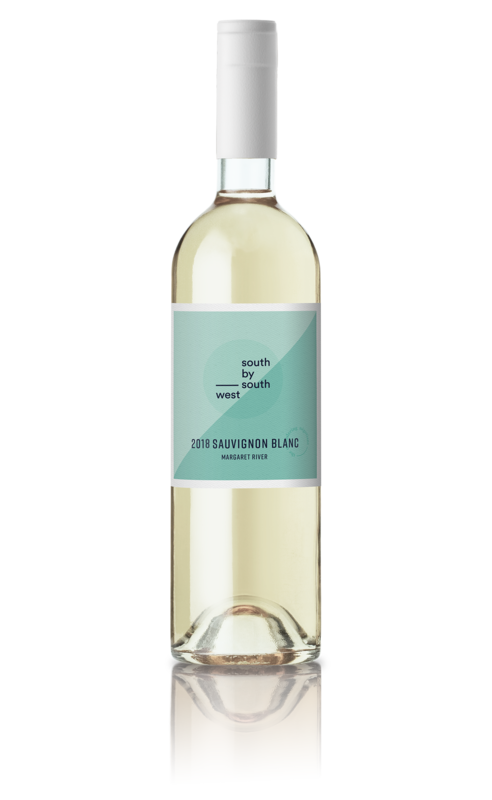 Our 2018 Sauvignon Blanc uses a base of cool climate fruit from the Karridale subregion of Margaret River which provides vibrant aromatics partnered with some savoury crunchiness. This fruit was machine harvested in March, and pressed immediately to a stainless-steel tank where it was inoculated with a complementary yeast culture to capture the natural aromatics at a cool fermentation temperature. The base fruit then is supported by a portion (30%) of oaked Sauvignon Blanc pressings from the Wallcliffe subregion, providing added texture and mouth feel. The oaked component was aged for 6 months in older French oak barriques. Both parcels were then blended together, lightly fined and filtered and bottled by spring to capture the varietal characteristics and freshness in the bottle. Pale straw colour with a greenish hue. This wine has a delicate balance of herbal and leafy notes from the cooler southern sub-regions. The nose exhibits vibrant aromas, with hints of freshly mown grass and dried herbs generating a unique freshness. Sauvignon Blanc has excellent flavour and structure and a good natural balance of acidity and sugar, with crunchy flavours of crisp gooseberry. Underlying these great varietal fruits is the subtle minerality of the terroirs. The long lingering finish is lively and fresh with lime-flavoured acidity. The palate is clean and lively with a well-balanced complexity and a refreshing citrus acidity. We aim for minimal intervention to let the fruit express itself, yet there are certain things we do need to maintain the quality and integrity of this wine. We’ve added minimal sulphites to stabilise the wine and ensure its shelf life. It has also been fined with the aid of skim milk products or Isinglass to remove harsh phenolic compounds. We use this method as opposed to other by-products as it is extremely gentle in nature and does not strip flavour nor character from the wine, creating a final, high quality polish.